Every organization has their own recruiting process and timeline. How will you know when the companies you’re interested in are hiring? Does hiring for the industry you’d like to join follow a specific timeline, or can opportunities come up at any time? While finding out this information may seem daunting, doing a bit of targeted research will go a long way. Many organizations hire on an “as-needed” basis, which means that they post jobs as they become available (rather than on a set schedule). It generally takes about 4-12 weeks for a company to post a position, review applications, and conduct interviews. Large organizations in any industry are an exception. These employers typically recruit for full-time, entry level hires (and in some cases, summer interns) in the summer or during the Fall semester of a candidate’s final year. They are usually hiring large groups or “classes” of recent graduates, rather than hiring for a single position. 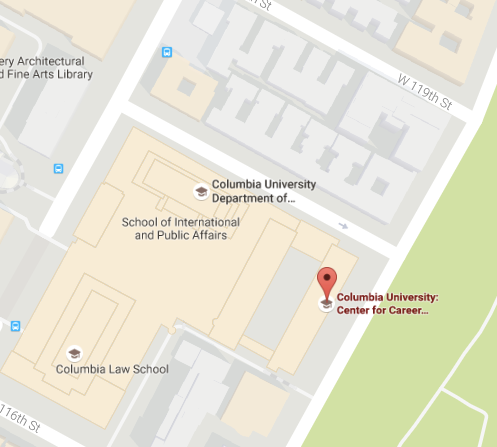 These companies also tend to recruit on campus at Columbia and other universities. Often times, these organizations will also use a “pipeline hiring strategy.” They will look to the pool of interns who worked with them over the summer to ﬁll these full time, entry level classes. You will still (in most cases) be able to apply for a full time role if you didn’t intern with a company, but the process will be more competitive. Other large organizations may oﬀer special rotational or leadership development programs. These programs last for a year or two, and allow you to train with more than one department, according to a pre-determined timeline. It is very important to know how and when your industry recruits. Identify speciﬁc companies that you’re interested in early on, and research their application deadlines to avoid missing out. You can review the CCE Industry Pages for more information on recruiting timelines. On-Campus Recruiting (OCR) through the Center for Career Education (CCE) is just one way companies recruit for internships and full-time jobs after graduation. Some companies will only post job openings on their websites. These employers are looking for candidates who took the time to seek out opportunities at their organization. Others don’t post opportunities at all. They instead ask their employees or professional contacts to recommend candidates that might be a good fit. Networking is the key to uncovering these “hidden” opportunities. In fact, the majority of jobs are ﬁlled by referrals. The strategic use of online job boards can also lead to success. LionSHARE and industry-speciﬁc job boards will help you look for companies that you’re interested in and allow you to apply to jobs. As with any application, think critically about why you are interested in a job, and tailor your resume and cover letter every time you apply. Sending out a large number of applications with a generic resume may seem like a tempting shortcut, but it will not pay off. Recruiters can tell if you’ve done this, and they do not consider applicants that can’t show how their skills match up with the organization’s requirements. For most people, regardless of their experience level, a typical job search can take 3–9 months. It’s important to start preparing your search early to avoid burning yourself out. Meet with a counselor, develop a plan, and find out how the companies you’d like to work for recruit. Make yourself aware of the various resources and support that CCE can provide in the job search process like on-campus recruiting, career fairs and networking events, and workshops. We look forward to working with you!